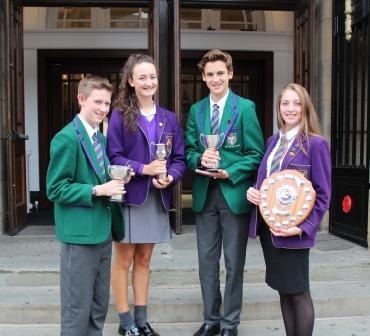 The Annual Westholme Senior School Prizegiving Ceremony was held this afternoon at King George’s Hall. 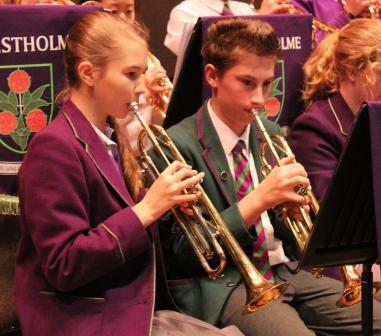 This year we welcomed Year 6 classes from the Junior School who came to watch and enjoy a taste of what is yet to come for them in their progression through Westholme. After opening remarks from the Chairman of Governors, Mr Brian Marsden, Principal, Mrs Horner, guided us through a review of the last academic year via a presentation of memorable achievements. 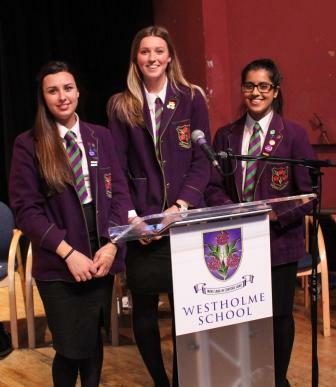 She also spoke about what she has learnt throughout the past twelve months, highlighting that we have a strong and dedicated team of Governors, parents and staff who all go that extra mile for the children of Westholme. The Head Girl and Deputy Head Girls presented a comedic report of the ’10 most memorable changes of the year’ which included some ‘in’ jokes such as the pre-made sandwiches at lunch time and the renaming of the Library to the LRC! It truly was an entertaining account. Prizes were then distributed by Professor Damian Hughes author of six bestselling books including Liquid Thinking, Liquid Leadership and How to Think Like Sir Alex Ferguson. 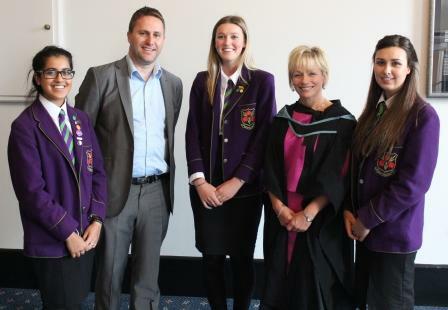 He then went on to speak to the school about three key points he has learnt during his career. Firstly, how we all have the ability to stretch that bit further, and also how we should look beyond our immediate world in the things we do throughout life. His third and final point and perhaps the most important of all, was that we should all have the courage to get up and go for it! His interactive speech was entertaining and thought provoking to say the least. 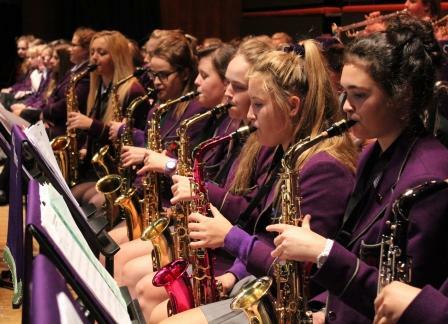 Two performances from the Swing Band and the Chamber Choir rounded the ceremony off. 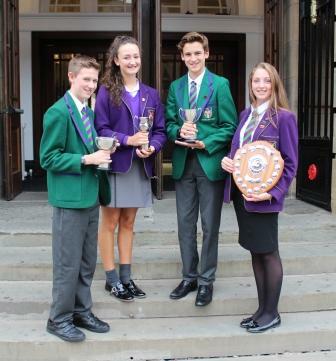 Congratulations to all prize winners. What a wonderful ceremony.